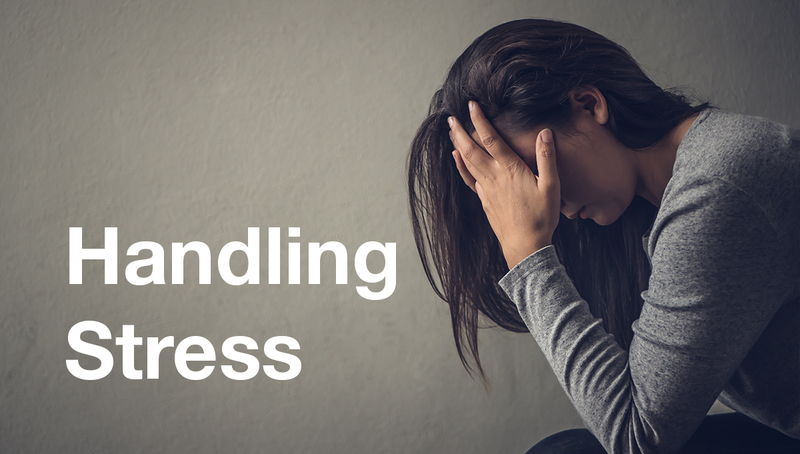 Our College Psychologist Ms Jody Sims has put together a blog post about handling stress. The blog post is part of our student well-being blog published twice a term. Stress isn’t always bad. In small doses, it can help you perform under pressure and motivate you to do your best. But when you’re constantly running in emergency mode, your mind and body pay the price. If you frequently find yourself feeling frazzled and overwhelmed, it’s time to take action to bring your nervous system back into balance. You can protect yourself - and improve how you think and feel - by learning how to recognise the signs and symptoms of chronic stress and taking steps to reduce its harmful effects. Stress is your body’s way of responding to any kind of demand or threat. When you sense danger -whether it’s real or imagined - the body's defenses kick into high gear in a rapid, automatic process known as the “fight-or-flight” reaction or the "stress response." The stress response is the body’s way of protecting you. When working properly, it helps you stay focused, energetic, and alert. In emergency situations, stress can save your life - giving you extra strength to defend yourself, for example, or spurring you to slam on the brakes to avoid an accident. Stress can also help you rise to meet challenges. But beyond a certain point, stress stops being helpful and starts causing major damage to your health, your mood, your productivity, your relationships, and your quality of life. The most dangerous thing about stress is how easily it can creep up on you. You get used to it. It starts to feel familiar - even normal. You don’t notice how much it’s affecting you, even as it takes a heavy toll. That’s why it’s important to be aware of the common warning signs and symptoms of stress overload. How much stress is “too much” differs from person to person. Some people seem to be able to roll with life’s punches, while others tend to crumble in the face of small obstacles or frustrations. Some people even thrive on the excitement of a high-stress lifestyle. Your support network. A strong network of supportive friends and family members is an enormous buffer against stress. When you have people you can count on, life’s pressures don’t seem as overwhelming. On the flip side, the lonelier and more isolated you are, the greater your risk of succumbing to stress. Your sense of control. If you have confidence in yourself and your ability to influence events and persevere through challenges, it’s easier to take stress in stride. On the other hand, if you believe that you have little control over your life - that you’re at the mercy of your environment and circumstances, with limited ability to make changes - stress is more likely to knock you off course. Your attitude and outlook. The way you look at life and its inevitable challenges makes a huge difference in your ability to handle stress. If you’re generally hopeful and optimistic, you’ll be less vulnerable. Stress-hardy people tend to embrace challenges, have a stronger sense of humor, believe in a higher purpose, and accept change as an inevitable part of life. Your ability to deal with your emotions. If you don’t know how to calm and soothe yourself when you’re feeling sad, angry, or troubled, you’re more likely to become stressed and agitated. Having the ability to identify and deal appropriately with your emotions can increase your tolerance to stress and help you bounce back from adversity. Seek help from a suitable professional who can help you to develop strategies to better manage your stress. This may involve learning ways to recognise when you are feeling stressed, learning to manage your thoughts and feelings, ways to minimise stress, and ways to help to relieve stress when it occurs. Get moving. Upping your activity level is something you can do right now to help relieve stress and start to feel better. Regular exercise can lift your mood and serve as a distraction from worries, allowing you to break out of the cycle of negative thoughts that feed stress. Rhythmic exercises such as walking, running, swimming, and dancing are particularly effective, especially if you exercise mindfully (focusing your attention on the physical sensations you experience as you move). Connect to others. The simple act of talking face-to-face with another human can trigger hormones that relieve stress when you're feeling agitated or insecure. Even just a brief exchange of kind words or a friendly look from another human being can help calm and soothe your nervous system. So, spend time with people who make you feel good and don’t let your responsibilities keep you from having a social life. If you don’t have any close relationships, or your relationships are the source of your stress, make it a priority to build stronger and more satisfying connections. Engage your senses. Another fast way to relieve stress is by engaging one or more of your senses - sight, sound, taste, smell, touch, or movement. The key is to find the sensory input that works for you. Does listening to an uplifting song make you feel calm? Or smelling ground coffee? Or maybe petting an animal works quickly to make you feel centered? Everyone responds to sensory input a little differently, so experiment to find what works best for you. Learn to relax. You can’t completely eliminate stress from your life, but you can control how much it affects you. Relaxation techniques such as yoga, meditation, and deep breathing activate the body’s relaxation response, a state of restfulness that is the polar opposite of the stress response. When practiced regularly, these activities can reduce your everyday stress levels and boost feelings of joy and serenity. They also increase your ability to stay calm and collected under pressure. Eat a healthy diet. The food you eat can improve or worsen your mood and affect your ability to cope with life’s stressors. Eating a diet full of processed and convenience food, refined carbohydrates, and sugary snacks can worsen symptoms of stress while eating a diet rich in fresh fruit and vegetables, high-quality protein, and omega-3 fatty acids, can help you better cope with life’s ups and downs. Get your rest. Feeling tired can increase stress by causing you to think irrationally. At the same time, chronic stress can disrupt your sleep. Whether you’re having trouble falling asleep or staying asleep at night, there are plenty of ways to improve your sleep so you feel less stressed and more productive and emotionally balanced.